House No7, a refurbished black house on the Isle of Tiree belonging to Dave and Liz Kerr has been short listed for a prestigious design award. The homes are named in the Royal Institute of British Architects’ shortlist for this year’s Manser Medal. The Manser Medal is given for originality, quality and imagination, rather than the scale of a project’s social aspiration. More often than not, the shortlist focuses on bespoke houses – large and small – that come about when an architect with a good idea gets to work with a particularly courageous client. The architect in question, Murray Kerr was under additional family scrutiny as he is the son of Dave and Liz. Six homes have been short listed and the winner will be announced on 16 October 2014. Earlier in the year this stunning property was the winner of Grand Designs Home of the Year 2014 and Kevin McCloud one of the judges said “I fell in love with this project because of it’s simplicity. It’s rather breathtaking”. The build was undertaken by local firm, John MacKinnon Builders and they have delivered a beautiful property, the result being the old and new parts of the property blend effortlessly together. We wish everyone involved in this project the very best of luck in October. 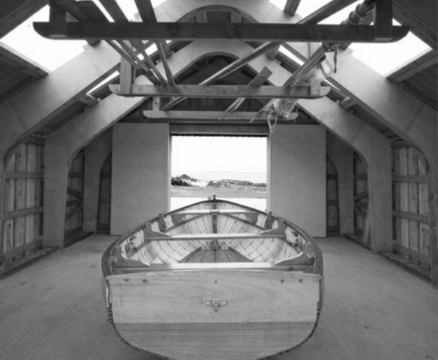 Tiree Maritime Trust’s new boathouse ‘The Noust’ has been short-listed for a prestigious GIA Design Award run by the Glasgow Institute of Architects. The Noust provides an invaluable building for the Maritime Trust to maintain Tiree’s traditional dipping lug sail boats. Tiree Maritime Trust would like to say a very big thank you to all who helped with the boathouse build: TOG Studio team and students, Andrew Montgomery and Argyll Estates, Iain Mackinnon Haulage, Lachie Brown, Nancy MacKechnie, the commercial sponsors (Russwood, MAKLab, Marley Eternit, Spax, Coburn, Hilti, James Latham, GAGael), the many people who have made donations to the Maritime Trust since its formation in 2005, and of course the Windfall Fund. The opening of ‘The Noust’ is just the beginning… volunteers will be working on the lug boats over the winter, with the hope of sailing them regularly next spring, then in June 2014 the second half of the boathouse will be built as an architecture live build project with Tog Studio. 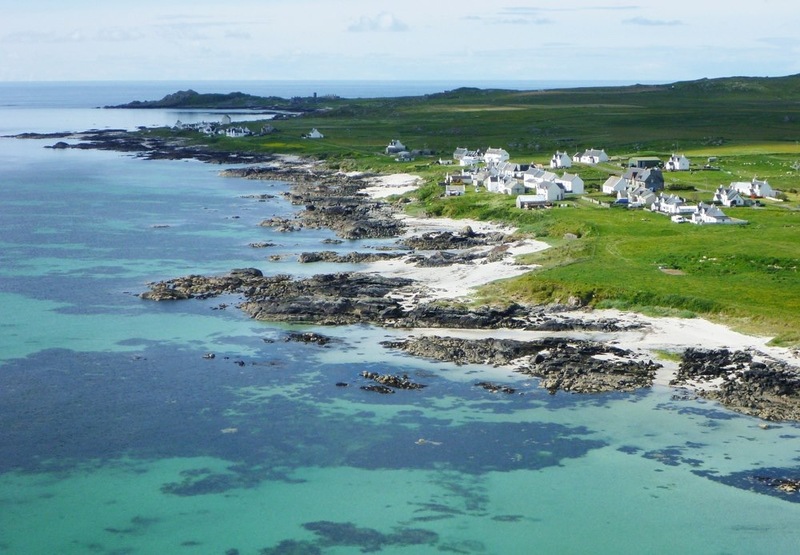 Tiree Maritime Trust are always looking for support so if you are interested in the work of Tiree Maritime Trust or would like to become actively involved please get in touch via our website www.tireemaritimetrust.org.uk. We have been celebrating our first year in practice with a series of awards and the launch of a travelling exhibition. 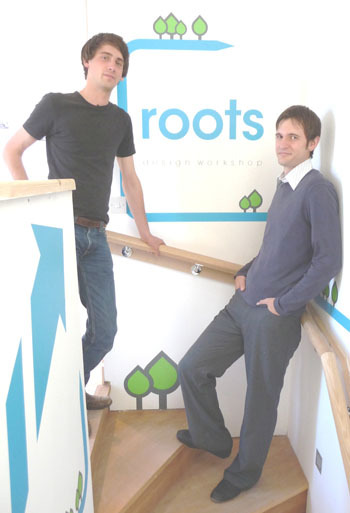 Roots Design Workshop, our mobile architectural + environmental design practice, pitched our business to on-line Dragons Den star Shaf Rasul on Thursday. This was after we were selected as one of the most promising entrepreneurial businesses in the country. The practice has also been short-listed for a Shell LiveWIRE Grand Ideas Award. This means we are in the running to win a £1000 prize. We also held a workshop this weekend at the Scottish Housing Expo in Inverness. This involved hosting ‘design surgeries’, where members of the public could approach the team for free advice about building projects they had. The workshop also involved an exhibition of the projects developed during Roots’ first year in practice. These included a range of proposals for domestic new-build and extensions, and energy efficiency upgrades to existing buildings on Tiree. This was an exciting opportunity for us to show our work on a national scale. We expect over one thousand members of the public to see our work during the course of the Expo, which has been called the single most important architecture and design event to take place in Scotland for the past decade. We plan to tour this exhibition around remote communities during the rest of the summer before presenting to the Power of Place conference in Shetland this September.